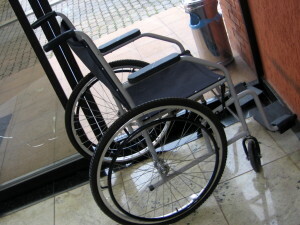 It is now common for nursing homes, assisted living facilities, and similar facilities to require residence to agree to arbitration during admission. These arbitration agreements are frequently challenged. In Brookdale Senior Living Communities, Inc. v. Margrey, a senior living community moved to compel arbitration after the executrix of the estate of a resident filed a wrongful death action. She also filed a claim for common-law negligence, in addition to contract claims. The executrix had power of attorney over the resident prior to the resident’s death. The power of attorney had signed a residence agreement on behalf of the decedent before the decedent moved into the community. That agreement required binding arbitration governed by “New York State Consolidated Laws.” Pursuant to the agreement, New York Rules of Civil Procedure would govern discovery in the arbitration proceeding, and New York law would govern the rules of evidence. While residing in the community, the decedent went missing from the residence in December. Her body was later found outside a door that led to a patio and courtyard at the residence. She had died from environmental hypothermia. The executrix filed suit against the senior living community. The defendant moved to compel arbitration. The state court found that the parties, the distributees, and the claims in the complaint were all subject to the arbitration agreement. The state court reserved on the motion until a hearing could be held to determine if the defendant had operated an unlicensed assisted living facility. After several discovery disputes, the court issued an order compelling the defendant to respond to outstanding requests. The defendant later informed the plaintiff’s attorney that the facility’s executive director was unavailable, and they could not respond to a second motion to compel discovery. The plaintiff agreed to adjourn the motion hearing, and the defendant moved to compel arbitration in federal court, asking the court to urgently consider the motion. The court declined to do so. The district court noted that the Federal Arbitration Act did not automatically give it jurisdiction, but it did have diversity jurisdiction in this case. The district court had concurrent jurisdiction with the state court to enforce the arbitration agreement. The problem here, however, was that the petitioner had already filed a motion to compel arbitration in state court. Although the district court found that none of the three general categories in which a federal court can abstain from adjudicating the controversy before it applied, courts may defer to a parallel state court proceeding in consideration of wise judicial administration. The district court looked at the six factors to be considered in determining whether to defer to the state court proceeding. The first factor relates to property and did not apply here. The second factor considers whether the forum would be an inconvenience, but the court found it would not be, due to the proximity of the state and federal courts. Another factor is the avoidance of piecemeal litigation. Noting that state and federal proceedings to compel arbitration would not generally result in piecemeal litigation, there were special circumstances here. The state court had already ruled on the motion. Pursuant to the agreement, New York arbitration law governed the arbitration procedure. The state court had made findings of fact and determinations of law based on state law. The district court found that the piecemeal litigation factor heavily weighed in favor of abstention because the petitioner had drafted the arbitration clause requiring the application of New York law, moved for relief in state court, willingly participated in mediation as part of the state court action, and participated in discovery in the state court action. The priority factor also weighed in favor of abstention. The state court action was commenced more than 20 months before the federal court proceeding. In the state court proceeding, the parties had participated in mediation and discovery. The state court had already issued a decision and order on the motion to compel arbitration. The state court had expended judicial resources on the matter. Although the hearing had not yet occurred, it was delayed by the parties’ discovery disputes and stipulated adjournments. The source-of-law factor also weighed in favor of abstention because the agreement required the application of New York law. The district court also found that the state court proceedings were adequate to protect the petitioner’s rights because the state court had power under New York law to compel arbitration. Furthermore, the petitioner acknowledged that it brought the federal court proceeding to avoid responding to the state court motion to compel discovery. The district court considered the judicial resources that were expended by the state court before the petitioner filed the same motion in federal court. The district court found that the exceptional circumstances justified abstention in this case. The district court denied the motion and dismissed the case. Although the senior living community lost this motion, the court’s opinion indicated that the state court’s decision had primarily been in favor of arbitration, so this case may still go to arbitration. Whether arbitration can be compelled will depend on the specific facts of the case and the language of the agreement. A party can only compel arbitration of claims that are covered by the agreement. Additionally, in cases involving nursing homes or assisted living facilities, there may be questions regarding the authority of the person who signed on behalf of the resident. If your loved one has died in a nursing home or assisted living facility, a skilled New York wrongful death attorney can review the relevant documents to determine if the case may be litigated and help you through the process of litigation or arbitration.